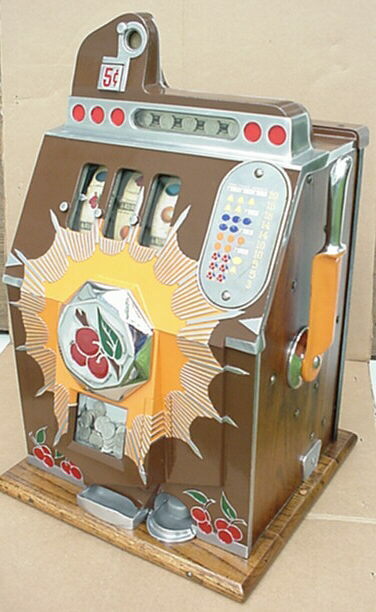 This is a gorgeous restored 5 cent mills bursting cherry brown front slot machine. Looks and plays just like new.Complet with cash box lock and key. Price is 2295.00 + shipping and packing.See all the PHOTOS on my web page,just click the slide show.